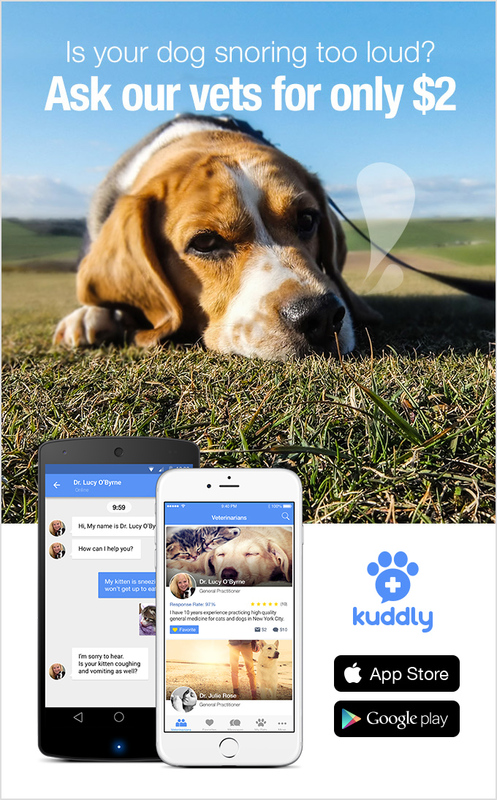 It’s our mission at Kuddly to help pets receive world class health and wellness care, anytime, anywhere. That’s why we couldn’t have been more honored and excited to see this blog post on awesome the Life With Dogs And Cats blog this past week. The story of how a concerned human worried about her cat’s sudden health issue was able to gain help from a veterinarian on Kuddly is exactly why in part we’re here. Rather than having to rely on search engines or guessing when you need information and insight about your pet’s health and wellness, you can directly ask a verified, professional veterinarian — all from the ease of your smart phone. We’re so glad Kuddly was a help to Life With Dogs And Cats, and that Elsa Clair is going to be ok! Thank you for sharing the story!